RNA extracted from 120 leaf specimens from 17 plant species was pooled, and polyadenylated RNA species were sequenced together without barcoding in one lane using massively parallel sequencing technology. After analysis, complete or partial genome sequences representing 20 virus isolates of 16 polyadenylated RNA species were identified. In three cases, 2-3 distinct isolates of a virus species co-infected the same plant. Twelve of the viruses identified were described previously and belonged to the genera Potyvirus, Nepovirus, Allexivirus, and Carlavirus. 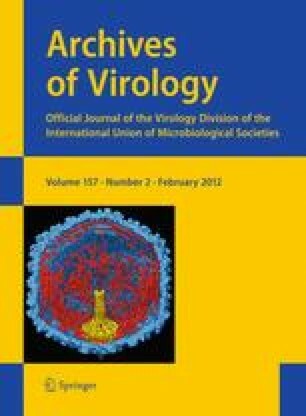 Four were unknown and are proposed as members of the genera Potyvirus, Sadwavirus, and Trichovirus. Virus sequences were subsequently matched to original host plants using RT-PCR assays. The online version of this article (doi: 10.1007/s00705-011-1166-x) contains supplementary material, which is available to authorized users. This study was funded by an Australian Research Council Linkage Grant (LP110200180) and the Murdoch University Institutes of Sustainable Ecosystems, and Crop and Plant Research. Thanks to Professor Kingsley Dixon and Mr. Steve Easton, Botanic Gardens and Parks Authority, for authorizing collections at Kings Park and for assistance in collecting and identifying the plants used from there.